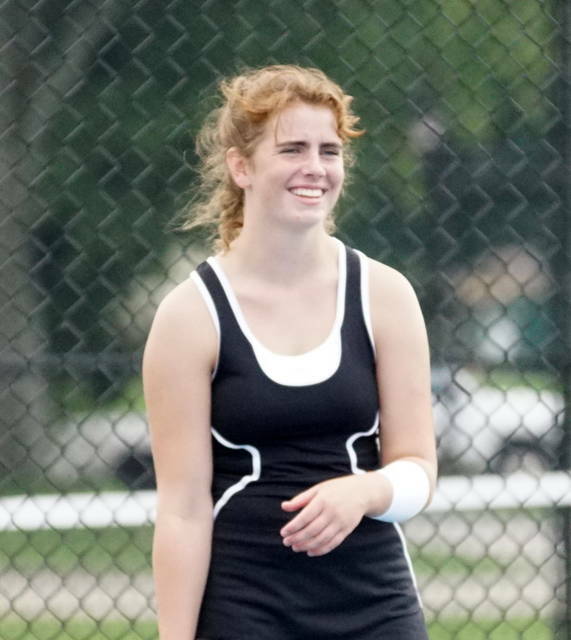 ADAMS TOWNSHIP – Unbeaten Claire Burns led Wilmington to a 4-1 win over Clinton-Massie Wednesday in SBAAC American Division tennis action on the CM courts. “Massie makes you play well to win and we were able to play quite well on the road,” WHS coach Doug Cooper said. Wilmington improves to 9-2 overall and 5-1 in the SBAAC. Clinton-Massie goes to 8-3 overall and 3-3 in the division. Burns was a 6-2, 6-2 winner over Nina Lazic and is now 14-0 on the year at second singles. Clinton-Massie’s Hailey Clayborn is 11-0 at first singles after rallying from an early deficit to post a 6-2, 6-0 win over Allie Kees.